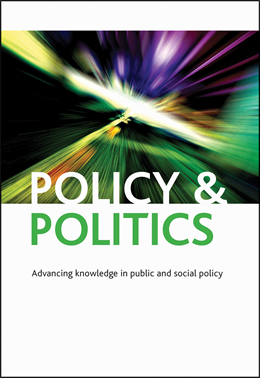 Stephen Sinclair ponders how far voluntarism can be pushed in his recent paper in Policy & Politics. In this blog he discusses what prompted him to the write the paper and gives an overview of the key themes. Like many people, I have to attend a lot of meetings and not all of them are very interesting. So when what I expected to be a rather dry and technical event turned into a heated debate it is worth further reflection. There would seem no reason to expect a seminar outlining the UK government’s proposals to reform credit unions to be particularly contentious; however this paper discusses the raw nerve that this meeting exposed. The sensitive issue at stake was the basic questions of what and who credit unions are for. The paper in Policy & Politics describes the background to this debate: the UK government’s plans to increase the capacity of credit unions to serve the estimated 1.4 million people without access to a suitable transaction bank account. As one House of Commons report noted: ‘credit unions have been seen by successive governments as the archetypal “good thing” in financial services and often as the “answer” (in part at least) to a number of diverse policy challenges’. In June 2013 the UK Treasury launched a public consultation on the future of credit unions. Even the Church of England has committed to support the development of credit unions as alternatives to expensive commercial ‘sub-prime’ financial services providers. These include pay-day lenders, such as Wonga (currently under investigation for sending fake letters to customers threatening legal sanctions), and illegal loan sharks who prey upon vulnerable households not served by mainstream lenders. It might be thought that credit unions themselves would welcome such interest and support, and many members of the Association of British Credit Unions (ABCUL) do. However other credit unions are deeply concerned about what they fear might be the implications of the UK government’s reform proposals. Credit unions are not-for-profit, self-help, financial cooperatives which provide low-cost savings and loans to their members. Membership of a union is based on a ‘common bond’: such as belonging to a particular community (e.g. a religious group), working for a particular employer or in a single economic sector, or living in a particular area. The problem the UK government faces in tackling financial inclusion through credit unions is that few existing unions are able to fulfil this role: many credit unions are financially precarious with small memberships consisting of lower income households; relatively few have the resources required to include large numbers of potentially high risk new members. The government has argued that to provide lower income households with a viable and attractive alternative to existing sub-prime lenders requires a significant expansion of credit unions’ membership and capacities. The proposed modernisation programme involves credit unions making a step change rather than an incremental development: the government hopes that credit union membership will double in 7 years and the Department for Work and Pensions (DWP) proposes that unions should ‘complete a major programme of business and cultural change’ to become more ‘business like’ and serve a larger and more diverse membership. However, some critics of these proposals argue that to help those who are not yet members but need access to financial services requires credit unions to abandon the small, associative, localised, intimate and personalised bond of membership which is their distinctive characteristic and source of strength. The UK governments proposals raise the question of why self-help mutual members’ associations should be expected to change how they operate in order to deliver government policy and benefit those who are not currently members? The division highlighted at the meeting which I attended was between those who believe that credit unions should remain member-led organisations (and perhaps small, exclusive and operating to benefit existing members) and those who want them to reform and expand to attract a wider and more diverse membership so that they can address financial exclusion. This debate over the modernisation and the function of credit unions therefore raises more fundamental questions about the viability of voluntary mutual self-help as a basis for providing welfare services. The dispute revealed by the credit union modernisation proposals challenges certain conservative and neo-liberal views – such as advocates of the ‘Big Society’ (if any of these still exist) – about the collective benefits of self-interest and how ‘small battalions’ of voluntary associations can replace the public sector in delivering services. It also raises questions about the progressive nature of collective mutualism and challenges those – such as some ‘Blue Labour’ proponents – who would argue that ‘socialism’ can progress through community movements. While voluntary collective movements may express strong fraternal bonds between their members, such solidarity can be selective and exclusionary. The dispute discussed in this paper therefore illustrates the limitations of voluntary mutual aid in promoting social inclusion. While this may work effectively for members, compulsory collective support might be required to provide essential services to the most marginalised, and only the state can enforce this. Stephen Sinclair is Lecturer in Sociology and Social Policy at the Yunus Centre for Social Business and Health, Glasgow Caledonian University. 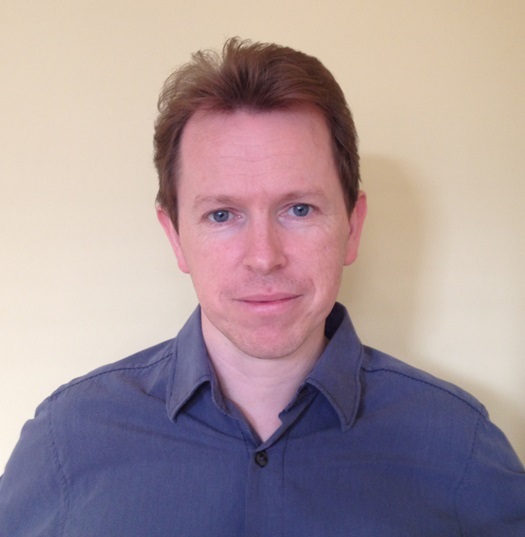 Stephen specialises in research into poverty and social exclusion. Stephen has a particular interest in financial exclusion, child poverty, community planning issues and social policy in devolved Scotland. Previously he was Deputy Director of the Scottish Poverty Information Unit, and prior to that head of the Local Government and Public Services Reform Research Branch in the Scottish Executive.